Every month we align with the powerful energy that a Full Moon brings by holding an all-encompassing yoga practice. Together we explore with the vibration of the Full Moon and understand how it's astrological position may be affecting our lives. Through the practice of specific breath exercises, mantra, yoga postures, and meditations, we align and attune ourselves to this energy, tapping into the more subtle aspects of our minds, bodies and our yoga practice. 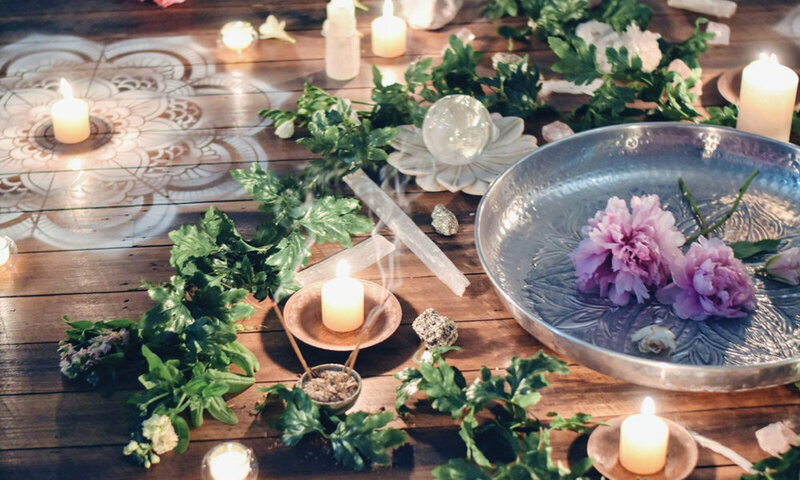 Our Full Moon Yoga Practice gives our tribe a moment within their month to reflect on what has come to fruition since the New Moon and also the opportunity for deep release. Much more than a standard yoga workshop, expect to shift energy, have deep release, create new openings and be part of a group of conscious individuals. You’re welcome to join us afterwards for tea, chai, treats, connection, chats and fun! These practices are open to all levels. The Full Moon also represents a beautiful time for release as, in the following days, it begins to wane and diminish. We can use this as an opportunity to let go through fire and water ceremonies, body movements and mantra, all that no longer serves you- toxic relationships, negative thoughts, situations that create suffering and emotional burdens that you no longer need to carry.